Joya Ahsan is a favorite Bangladeshi model and actress who made her debut in acting career with acting in a teledrama called ‘Panchami’. Now she is a country leading actress and model. All kinds of people are attracted by her performance in the country. Along with her study, she took a diploma course in Rabindra Sangeet and training in classical music. Joya started her career as an employee in a company, but she was interested in building her career in music and drawing. Although, he father wanted her to be an employee. She was the most passionate about art and music which pursue her to open a music school later on. 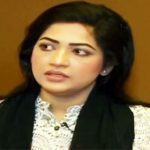 Joya Ahsan came to the spotlight when she performed a teledrama called ‘Panchami’. While working on the drama, she met one of the foremost actors in Bangladesh, Golam Mustafa. Mustafa asked her to stay in media and insisted that she would do better in future if she did. 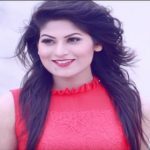 She enabled to catch the eye of Afzal Hossain by modeling in a calendar and got a chance to perform in a soft drink advertisement as well as she had to convince her father for that. Then she left modeling career and continued her studies and joined a newspaper company, Bhorer Kagoj, a renowned national daily of that time. There she met with Tajin Ahmed who started acting slightly and Joya found her interest back on media again. She acted in the blockbuster movie Gurrellia with famous Dhallywood actor Ferdous Ahmed, got huge admiration and won National Film Award for terrific performance in this movie. She again quit modeling and joined a school, but she could not continue her job. However, feel affection for of modeling she again left school and continue modeling which later proved the turning point of her career. There she met with co-actor Faisal who was a famous model, and they fell in love with one another. Soon they were married, which helped Joya to continue in media more freely and attentively. Then she showed her terrific performance in Giashuddin Selim’s ‘Shongshoy’ and it took her into the spotlight. Amader Chuto Nodi, Dorjar Opashe, Labbonno Probha, Mone Mone, Neer, Polayon Porbo, Sixty Nine (69), Shongshoy, Shonkhobash, Ak porber Natok, Americana, No man’s land, Tebhaga. You are really multi talented actress truly dedicated to your work.God bless you.Hope you will achieve many milestone in your near future. Most noted popular actress in our media industry as s whole …she has got some exceptional quality jn her acts…looking display …which reflects her*,,tes her hard work & effective concentrations in related aspect …thats y she tsy she is well known in home &abroad …wish her every success …God bless her !! !